The fear of death has not only failed to serve as a deterrent but getting killed at the hands of security forces is now considered glamorous. New Delhi's Kashmir policy of tackling the conflict with iron hands has not just failed in generating desired results, but actually compounded the chaos. Operation All Out, which was supposed to be a master plan to weed out militancy and restore peace, has ended up producing more militants than the ones killed during the year-long offensive in the embattled region. In the middle of 2017, when the operation was launched, around 200 militants were believed to be active in Kashmir. While more than 200 were killed in 2017 alone, over 130 have been killed this year. A simple arithmetic would suggest that more youngsters in the Valley are turning to militancy. 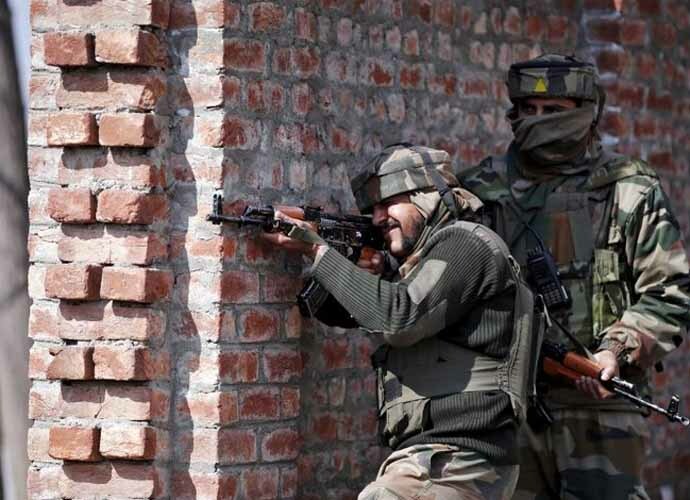 As per the latest figures reported by The Tribune, for the first time in nearly a decade, the number of listed militants in Kashmir has crossed 300. For the last 10 years, the number of militants had remained somewhere around 200, except in 2013 when it reached its lowest. Interestingly, 2013 was the year in which Parliament attack convict Afzal Guru was hanged and Kashmir witnessed widespread unrest. The number of active militants actually went down to 78 back then. In Kashmir's new-age militancy, most new recruits joining militant ranks are local youth, including highly educated ones such as Mohammad Rafi, a young university professor who was killed by security forces in May within hours of his having picked up arms. The Army was in such a hurry to eliminate the day-old militant that he was killed even before efforts to persuade him to return to the mainstream ended. By the time police brought his family to hold negotiations at the encounter spot in Shopian, the gunfight was over. The fear of death has not only failed to serve as a deterrent but getting killed at the hands of security forces is now considered glamorous by the youth in the Valley. 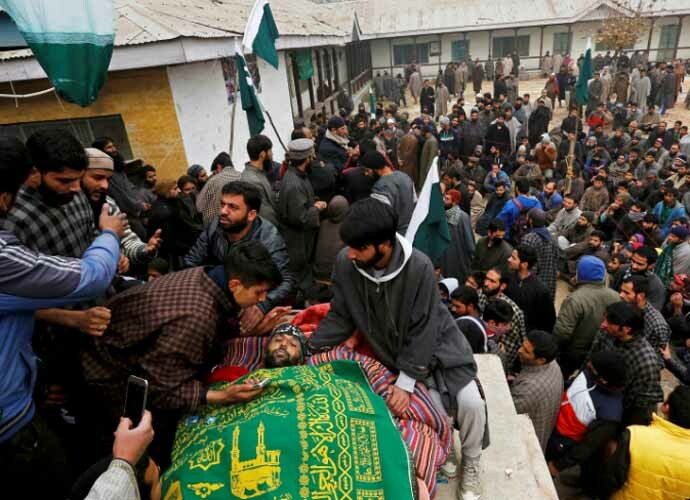 Funerals of militants have started attracting more and more youth, especially since the killing of Hizbul Mujahideen commander Burhan Muzaffar Wani in July 2016. Last year, at least 126 Kashmiri youths picked up guns, the highest for a year since 2010. But this year, over 130 have already joined the ranks. With local and "home-grown" militancy gaining ground, restoration of peace is becoming more challenging with each bullet fired. So what went wrong with the attempts to restore sustainable peace? Well, there can't be a bigger wrongdoing than tackling a political issue craving for dialogue through military offensive. Three decades since militancy erupted in the Valley in 1990s, the cycle of violence and killings has made the people, especially the young, more stubborn. Pushed to the wall, the youth are ready to die mainly because New Delhi couldn't show them the way to life. Bullets have clearly failed. The military offensive has overshadowed the purpose for which former spymaster Dineshwar Sharma was appointed as interlocutor in October 2017. A year on, he hasn't had a word with even separatists, forget militants. On the other hand, persistent attempts to abrogate Article 35A and Article 370, which grant special status to the state, have only added to the mess. After months of misgovernance during the Peoples Democratic Party-Bharatiya Janta Party rule of three years, a ray of hope had emerged when Governor's Rule was imposed. Owing to his track record of delivering good governance at least on civic issues, people had started to acknowledge NN Vohra. He had begun to be admired as "peoples' governor". This should have been seen as New Delhi's indirect victory. But Vohra was replaced by BJP heavyweight Satya Pal Malik. To add to the atmosphere of distrust in the Valley, came the rather controversial statement from BJP's state chief Ravinder Raina. The BJP leader said, "Malik, unlike Vohra, is hamara aadmi (our man)." Political misadventures are not the only problem ailing Kashmir because the Valley also suffers from poor policing. Official figures suggest that despite spells of mass unrest in 2008, 2009, 2010 and 2013, there was subsequent restoration of peace and a gradual decline in militancy. But a top police official credited with bringing the situation under control after all those unrests was transferred out of the state when Kashmir was on the edge after Wani's killing. The present state of policing can be gauged from the fact that when militants abducted one dozen family members of policemen, the police was busy preparing for a sporting event. A series of videos that recently went viral on social media showed abducted cops including a sub-inspector parroting at gunpoint a pre-scripted appeal addressed to the director general of police, SP Vaid, asking him not to harm the families of militants. When this video, which left New Delhi embarrassed, was released, Vaid and his team were busy organising a marathon — "Run For Peace". Held on the banks of famed Dal Lake, the event held on September 2, painted a rosy picture of the situation in Kashmir. But the threat to families of policemen worsened as Hizb commander Riyaz Naikoo gave a three-day ultimatum to the cops to "mend their ways". Amid raging gunfights, Kashmir craves for peace and its people hope for something politically achievable. The persistent defeats need an end through some achievable, negotiable milestones. Something for which New Delhi doesn't have to compromise on territorial integrity, but still helps in restoring internal autonomy. Dialogue would be a better way to achieve peace than guns that kill militants to keep militancy alive.